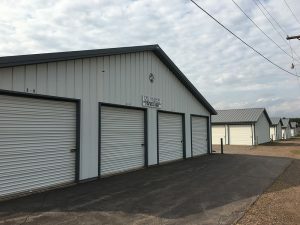 Minneapolis, MN – Tom Flannigan and Alex Ihrke of KW Commercial Minneapolis, an affiliate of the Argus Self Storage Network, marketed and sold Two Harbors Self Storage in Northern Minnesota. The property sold for $1,000,000 on March 15, 2019 to a local operator. Located north of Duluth Minnesota, Two Harbors Self Storage facility consists of 123 units and over 23,000 square feet. Tom Flannigan and Alex Ihrke are the Argus Self Storage Sales Network broker affiliates representing the states of Minnesota, North Dakota and Iowa. They can be reached at 651-269-6307. Based in Denver, Colorado, the Argus Self Storage Sales Network (ASSSN) was formed in 1994 to assist owners and investors of self-storage with their real estate needs. Through the years, Argus has assembled a network of real estate brokers experienced in self-storage and income property investments. Now the largest self-storage brokerage network in the United States, the ASSSN has 36 Broker Affiliates covering nearly 40 markets. These brokers are able to meet the needs of self-storage investors and owners whether it is acting as a buyer’s agent or listing and marketing a property. For more information call 1-800-55-STORE or visit www.argus-selfstorage.com.